Do you want to be a more effective leader? 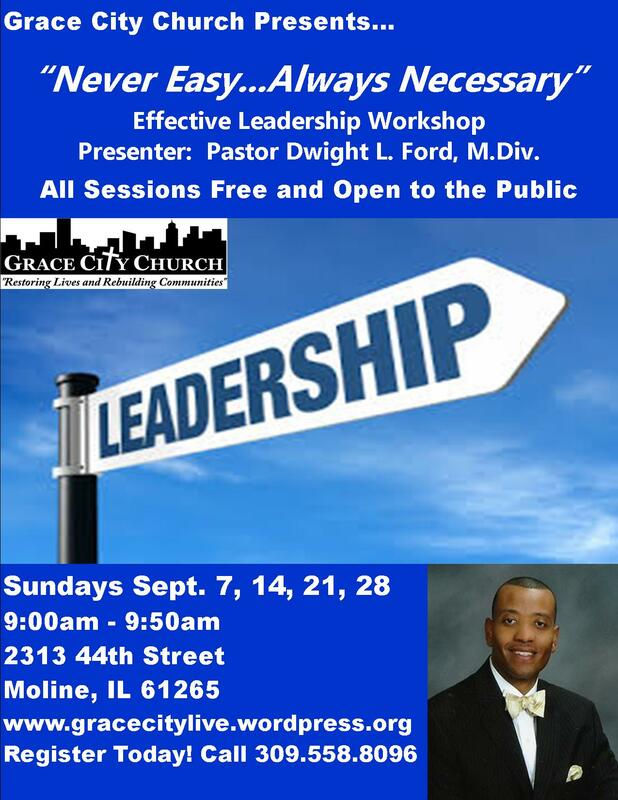 Register today for the Effective Leadership (Never Easy, Always Necessary) course with Pastor Dwight Ford from Sunday, Sept. 7 – Sunday, Sept. 28 (9am-9:50am). The course is free and open to the public! You don’t want to miss it! Call 309-558-8096 to register today! This entry was posted in Grace City Church, Pastor Dwight Ford, Quad Cities and tagged Always Necessary, Leadership, Never Easy. Bookmark the permalink.